How did 12 year olds get so good at video editing? By: Sierra Nenda, 12 years old. Have you ever been on Instagram, or YouTube, or any social media platform and saw a video edit? Have you ever wondered how they are made? Or maybe what programs are used to make them? Or how in the world do teens make such good videos? Well, I’ve got an answer for you. How are these videos made anyway? They can be made on any basic program. Some people make them on phones, and some people make them on computers or laptops. 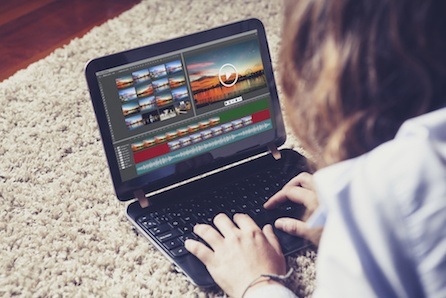 Some programs people commonly use on a computer is After Effects, Sony Vegas Pro, or Final Cut Pro. Usually, you have to learn how to edit on these programs by tutorials on Instagram or on YouTube. It might take awhile. I prefer to make video edits on a phone; I think it’s easier. There are two main apps people use for editing, VideoStar and Cute Cut (Pro). Presonally, I think VideoStar is hard and complicated, but Cute Cut is just right. I edit on Cute Cut. You must know some tips before you start editing. You should probably learn the basics of your program, and probably should watch edits and notice things about them. A lot of teenagers and young adults are the one editing and making these wonderful videos. Usually, adults don’t do this at all, and they think this is impressive. It might cost some money for some of these programs, but Cute Cut is completely free and can do the same things these other programs do. If you have never seen a video edit before or are wanting to see more, please check my account out on Instagram.